Diversify! That’s what one of the investors thought he was doing when he invested hundreds of thousands of dollars in an investment solicited by David Wallace and Daniel Frishberg. 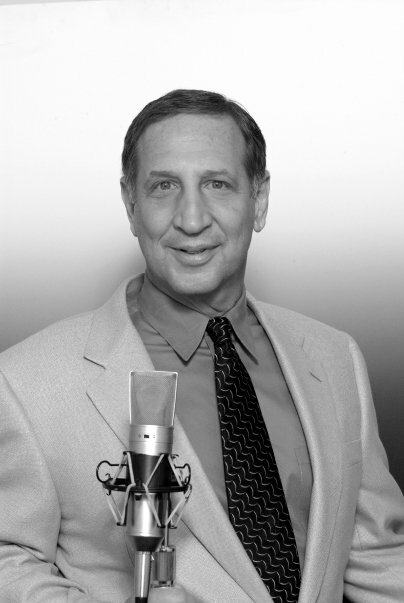 Frishberg “The Money Man” – preached diversification on his show on BizRadio. Little did this investor as well as scores of others know that the fund they were being lured into was nothing more than a primary source to fund the money losing venture of Daniel Frishberg – BizRadio. Before we get into the scam…let’s look at what generally it takes for something that might have started out legitimately to become rank and foul – nothing more than a fraud. The three components are: NEED, OPPORTUNITY and RATIONALIZATION. As we look at how this scam unfolded – think about these three parts and perhaps it will become clear just how simple it was for Frishberg et al to move from the intelligence of the light into the dark shadows of scams and, what I believe to be, fraud. THE OFFERING: The investor (who called me and agreed to an interview) was introduced to an investment called the LAFFER FRISHBERG WALLACE ECONOMIC OPPORTUNITY FUND apparently promoted by David Wallace, Daniel Frishberg and Art Laffer. Initially contacted by Al Kaleta (since busted by the SEC), it was David Wallace who impressed the investor with the returns shown on other prior real estate funds. Starting from the year 2008 they had reported, per the investor, a pretty significant loss from the operations of BizRadio because a portion of the money that had been collected from the investors had been invested in BizRadio. It was June 2009 when they released the interim financials. NEED and OPPORTUNITY: Perhaps it is speculation or perhaps it is circumstance, but what is fact is that monies collected for the LFW Economic Opportunity Fund were substantially siphoned off and funneled into the operations of money losing BizRadio. When you address the two major components of a FRAUD you see NEED and OPPORTUNITY. STOP…it appears again, if the investor interviewee is accurate in his recollection of his conversation, that at this point David Wallace is trying to cover up an inequity and perhaps therefore makes him complicit in a fraud coverup – something that has criminal implications. SURPRISE, SURPRISE, SURPRISE: The request for information or an explanation went unanswered. What legitimate answer could be given. An investment agreement was violated, an investor asks why, and no answer. At this time it seems clear that the legitimate investment (?) turned scam or fraud was beginning to come unraveled. At least Wallace was smart enough not to put his answer in writing as that might be construed as mail or wire fraud – punishable by prison. WOW: Seek an investors money – fail to answer legitimate questions when called on the carpet – then suggest a lawsuit. To the readers of this blog – what does that tell you? When I heard these comments from the gentlemen who so kindly contacted me I was amazed! Not only was Kaleta busted by the SEC, but David Wallace seems to be kneed deep in it with Dan Frishberg which by my calculations is unfortunate for both men. WHERE FROM HERE? The investor interviewee said, “I don’t know what to do. Where do we go from here?” In his voice I heard anguish and concern. He, along with many others, are figuring out that the bulk of their investments have vanished. Vanished not from a seriously declining real estate market, but vanished from a mismanaged fund that appears to have violated the terms of the agreement. So where from here? My guess…and please note it is only a guess… The SEC will investigate. Investment fund organizers will find a fate similar to that of Al Kaleta. And, I predict that eventually the FBI or US Attorney’s office will get involved. Was this a legitimate investment gone bad or a scam from the outset? Perhaps that question is best left to federal investigators…but as I’ve said before – something smells “frishy”! This entry was posted on Tuesday, March 16th, 2010 at 8:11 pm and is filed under BizRadio, Daniel Frishberg, FBI, fraud, SEC, white collar crime. You can follow any responses to this entry through the RSS 2.0 feed. You can leave a response, or trackback from your own site. As of yesterday (3/16)an application was filed with the FCC whereby South Texas Broadcasting (Salem Communications) agrees to purchase the license for KTEK from BizRadio. The application can be read by anyone wanting to go to the FCC website. Thanks for the input. A good share of my Bond account was taken by Kaleta and I was given a promissary note that I had no idea why. It appeared to have my signature (name misspelled and printed by Al beside it) for a loan to Biz Radio. The note was entirely filled out by Al as my agent. I never saw the note before it was e-mailed to me by another source. Who is the scammer here? Was the mayor of SUgarland in on it? Why don’t you hear about this on television? I invested in the Wallace Baj. fund because the real estate plan looked solid. Now if my investment lost money due to the recession, that is one thing. However if my money was diverted to Biz radio or Kalleta, who struck me as a bit of a used car salesman when I met him, then I will feel defrauded. I tried to call David today and to his credit he called me back. Hopefully this will all get sorted out and it is/was not a scam. Any news about the Bajjalli real Estate deal? Will the investors get their money back? I don’t know….I spoke with David Wallace about 5 months ago and he said that the real estate investments were still solid, the question is, was it a truthful statement? I will give David credit for returning my call. I don’t think he is outright stealing the way Kalleta was, but we will see. DAN FRISHBERG INVESTED MY MONEY AND HE CAUSED ME TO LOSE HUNDREDS OF THOUSANDS OF DOLLARS THAT ARE NOW FROZEN WITH THE SEC. I WILL GET PENNIES ON THE DOLLAR, YES PENNIES, BACK ON MY INVESTMENT THAT HE MADE. THE SEC TOLD ME FRISHBERG USED MY “INVESTMENT” TO PAY FOR HIS MERCEDES AS WELL AS OFFICE RENT AND MANY OTHER PERSONAL EXPENSES. HE HAS DEVASTATED MINE AND OTHERS LIVES. THE GOVERNMENT STILL HAS MY MONEY FROZEN BECAUSE OF FRISHBERGS FRAUD. SOME NERVE TO STILL BE ADVERTISING HIS FINANCIAL SERVICES WHEN HE OWES MORE THAN 10 MILLION TO THE INVESTORS HE RECENTLY DEFRAUDED AND DEVASTAED.